Today, our life revolves around electronic gadgets. Technological advancement has made things very easy for us. It is interesting to note that we choose electronic appliances like laptops, etc. with great care and research, but when it comes to power cord, we tend to choose casually. This is not a healthy approach. A power cord is as important as the gadget itself. Whether you are looking for a fresh power cord or a replacement one, do not just grab the first thing that is seen in the shop. All cords look pretty much the same, but there are subtle differences in them that can make or break your appliance. Choosing the right cord is of utmost significance. A wrong choice would not only mean a damaged appliance, but can result in a significant safety hazard. You are investing a good amount of money in the electronic appliance and you do not want to compromise on the quality of the power cord. There is a right cord for every purpose, be it AC power cord, laptop power cord, or a notebook power cord. If you have enough patience and knowledge about how to choose the right cord, or right adapter then the chances are that you will come up with the best suitable one. Ask relevant questions - Where, what, and how long? Asking and answering a set of relevant questions usually simplify the decision making process. The first question is "where are you going to use it" - indoors or outdoors? This will determine what type of power cord needs to be purchased and the gauge size. It is best to stick to the minimum gauge size possible, be it indoor or outdoor. The next question is "what are you going to use it for?" The durability and type differs with the purpose of usage. This question will answer whether or not the appliance that you have at hand is one that requires more electric power. The more power you need for your tool, the larger the diameter of the cord should be. This question will also determine powering needed for your equipment. If you overpower the cord, it could possibly overheat and result in power hazard. The third question is regarding the length of the power cord. If you choose a very lengthy cord, power will simply drop over the length and may not give enough power efficiency. Different kinds of power cords are available, which include AC and DC adapters, HP power cord, power supply cord, replacement power cord, etc. Variety is not only limited to the kind of power cords, but also the standards, and this is what makes it difficult for people to choose from the scores of cords available. The above-mentioned three questions become relevant in this setting. 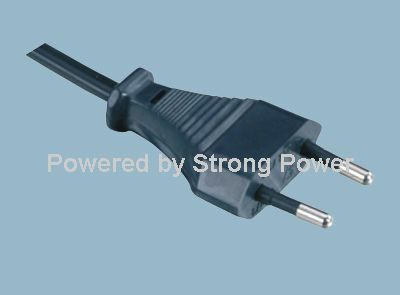 It is observed that many people buy the best power cords but unfortunately end up destroying their valuable equipment. Why does this happen? Does this mean that the so-called top quality power cords are in fact substandard? Of course not! The cord that you choose may be of top quality, but if it is not meant for the purpose you have in mind, then it will only do damage to your appliance. Go through the plug and voltage standard specifications and make sure that you choose the most suitable one for your appliance. The next important consideration is to decide whether to purchase your power cord online or from a regular shop. Both have their pros and cons. It is perhaps a wise option to use online services while buying a power cord. There are many reasons to support this view. 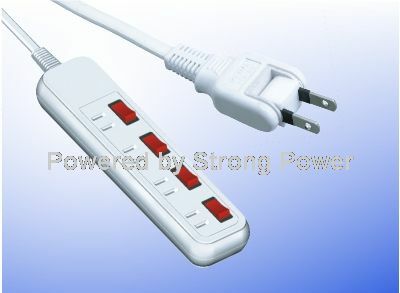 Firstly, you get details of all kinds of power cords available and can access them at your most convenient time. A shop owner may not have the time and patience to have a lengthy discussion of your needs and specifications. Secondly, buying online will help you save a good amount because the savings in cost of the seller is carried down to the buyer. The seller can save on shop rent, power, etc. which makes it possible to lower the price. These three major considerations will definitely go a long way in choosing the right power cord. So memorize these three simple points and use them on your next purchase.